SPRINGDALE, Ohio -- Al Riddick is not a man who was born into money. He grew up in a tiny town in North Carolina, the son of two farmers who had grown up poor. “You can imagine what my grandparents taught my parents about money, which was being passed down to me, which wasn’t much,” Riddick said with a wide smile. But his family did teach him the value of hard work, and Riddick took it from there. By the time he and his wife were in their early 30s, they were debt-free. Before they turned 40, the couple managed to accumulate $1 million in savings and assets. Now Riddick, 42, teaches others how to manage their money more successfully through his business Game Time Budgeting, LLC , located in Springdale. That doesn’t mean Riddick and his wife, Lesia, don’t treat themselves or contribute to the causes they care about. They budget for two vacations each year and for charitable donations, too. The key, Riddick said, is discipline and deciding what expenses really matter to you and your family. Riddick has taken his message to organizations such as the National Board for Certified Counselors Foundation Inc., and the Greater Cincinnati Urban League and companies including Messer Construction , Cardinal Health , UPS, Macy’s and the Procter & Gamble Co.
Al Riddick with Messer Construction employees. In fact, the 25 young professionals at Messer who attended a workshop that Riddick presented earlier this year already have seen results. Within 90 days of the presentation, the participants had reduced their debt by $44,050 and increased their savings by $9,050, Riddick said. “It helped me to revisit my budget and tighten it up a little bit,” said Cara Cross, a learning and development manager at Messer who attended the class and helped arrange for the workshop. Cross said she was more confident about Riddick’s advice because he wasn’t representing a big company that was trying to convince her to buy something. “It just made me feel so much more comfortable knowing that he wasn’t going to try to upsell,” she said. Riddick became an entrepreneur after an experience that could have thrown him into a financial tailspin if he had not been so well prepared. He was a successful salesman for a big company where he had worked for about 10 years. He won stock options and fancy trips based on his sales. He was making a six-figure salary, Riddick said, but he realized he wasn’t truly happy. As he thought about what he really wanted to do with his life, he realized that he was passionate about teaching people the financial practices that he and his wife had practiced to eliminate $150,000 in debt after they got married. Then on June 7, 2010, at 12:23 p.m. he got a call on his cell phone that changed everything. Riddick didn’t waste time fretting, though. Less than 24 hours later, he was giving a presentation about financial wellness to a group of Procter & Gamble Co. employees. “I haven’t stopped since,” he said. The Riddicks on vacation in Pisa, Italy. Riddick and his wife had their finances in such strong shape that they could live just fine on her income alone, he said. Riddick invests the money that he makes at Game Time Budgeting back into the business, and the couple continues to sock away money into savings, take the trips that make them happy and contribute to charities. They will celebrate a decade of being debt-free later this year. “We are passionate about saving money because we realize it is totally up to us to create the financial future we desire,” he said. They both drive old cars that are paid off, and they go to restaurants where they have coupons when they go out to eat. They also live in the same house that Riddick had bought before he and his wife got married 15 years ago. It has three bedrooms, and three bathrooms, which they figure is plenty big enough for just the two of them. Riddick also is passionate about teaching students about finances and budgeting to help them avoid the mistakes he said he made along the way. 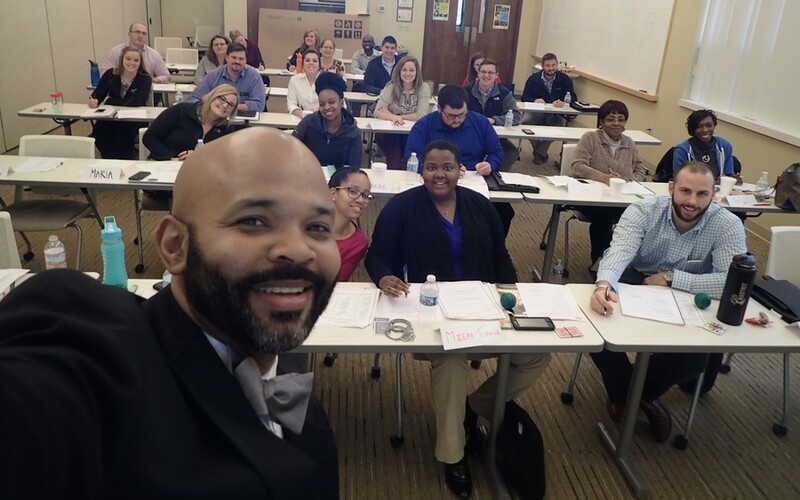 He has presented twice to students at the University of Cincinnati’s Carl H. Lindner College of Business as part of a workshop the college calls CREAM for “Cash Rules Everything Around Me,” said Kris Jones, the special projects coordinator for Lindner Diversity & Inclusion at the college. Riddick also stressed the importance of showing gratitude when students get paid or earn bonuses, Jones said. For Riddick, that’s what it’s all about, he said. After all, it doesn’t feel like it has been all that long since Riddick was working in the tobacco fields and getting paid with a honey bun and a cold drink after a long, hot day in the sun. 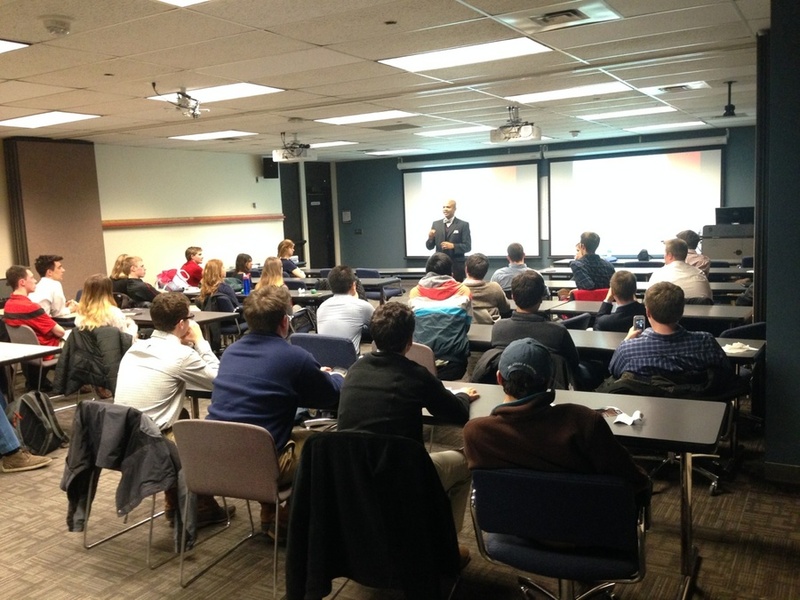 Al Riddick during a presentation to students at the University of Cincinnati. More information about Game Time Budgeting is available online. Copies of Riddick’s book -- “The Uncommon Millionaire” -- are available for purchase online , too. Riddick also is the author of “Money $mart Teens” and “The Financial Fitness Playbook,” which are designed to help teens and adults improve their financial fitness. Those are available online , too.